PB Sports was established in 1989, supplying golf equipment and accessories to on course golf professionals. We are a family run business and pride ourselves on service and quality. We manufacture a wide range of corporate accessories such as: Golf Bags, Holdalls, Shoe Bags, Coveralls. All of our production stages e.g. embroidery and printing are all carried out on site by highly skilled staff. Thank you for taking the time to visit our web site, we hope you will visit us again soon! PB Sports is able to offer its clients a range of services as listed below. Embroidery Division - Our embroidery division enables us to offer clients a range of products embroidered to their individual requirements. Products include: t-shirts, shirts, sweaters, caps, luggage and bags etc. 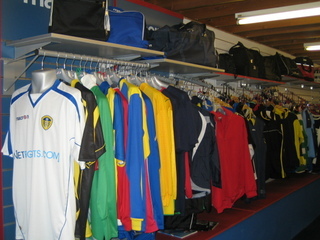 Retail Sports Division - We also have a discount sports shop, supplying the local area with high quality branded sportswear at affordable prices. Such as: Reebok, Nike, Adidas.